DatapointLabs Technical Center for Materials will present at the following technical conferences. Look for us if you are attending, or contact us to set up an appointment to meet with one of our representatives there. Insights into the Simulation of Failure of Ductile Plastics , by M. Lobdell, B. Croop, and H. Lobo, will be presented in the Software Solutions track on April 6. Mid-Stage Validation as a Process Step in Simulation V&V , by M. Lobdell, B. Croop, and H. Lobo, has been accepted for presentation. DatapointLabs is adding a second impact tester from Instron/Dynatup to expand capacity for its CAETestBenchTM business. CAETestBench provides a service for the validation of simulation by performing complex tests with standardized geometries that can be correctly replicated in simulation. This mid-stage validation provides a quantification of simulation accuracy before the simulation is used in real-life situations, bringing increased confidence and reducing the risk of poor outcomes later in the product development process. The new instrument will provide increased capability for the validation of dynamic drop test and crash simulations. Stress relaxation measurements are used to capture long-term viscoelastic behavior. These data can be used directly as inputs to simulation as normalized modulus v. time curves. Such data have been measured traditionally with dynamic mechanical analyzers using short term measurements coupled with time-temperature superposition, a technique which is limited to small-strains usually below 1%. 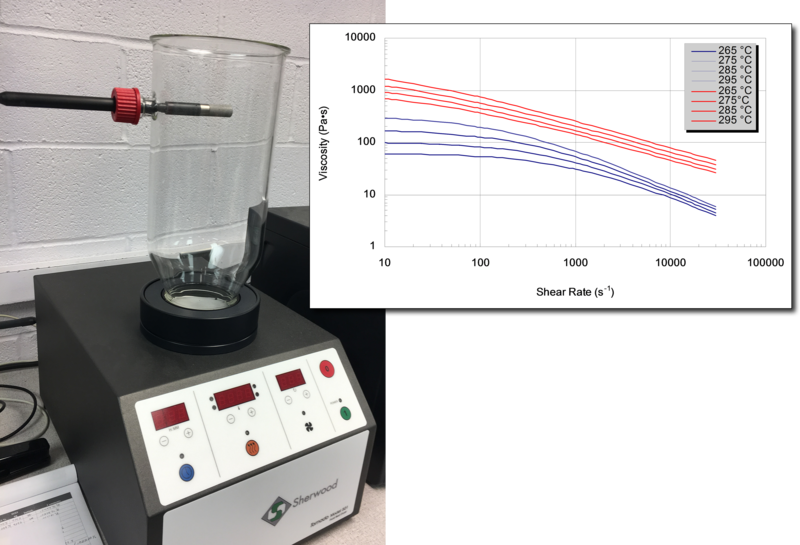 With growing interest in viscoelasticity of rubber and elastomeric materials at high compressive strains, DatapointLabs is installing 16 new stress relaxation fixtures to perform this test (M-266). The long term stress relaxation experiment can be used to expand the viscoelastic modelling to higher strains, and to investigate how stress relaxation changes with imposed strain. 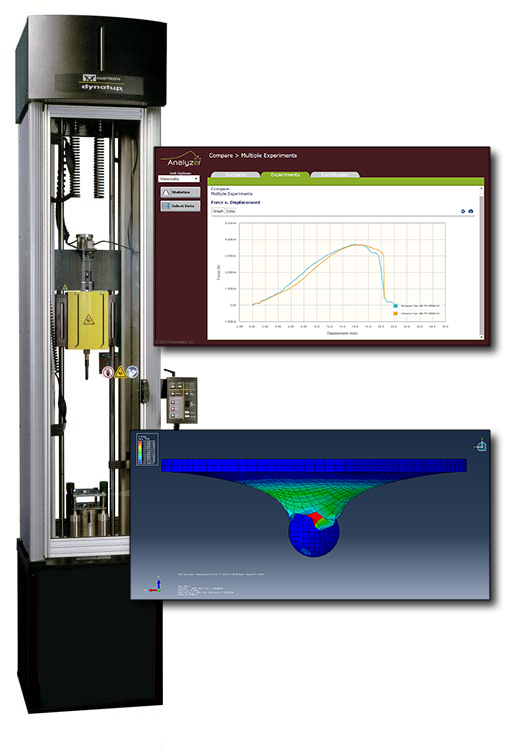 Performed in conformance with ASTM D6147, the 1,000-hour test could provide value for hyper-viscoelastic simulations and for explorations of the new PRF material model in Abaqus. This test can also be performed at non-ambient conditions to evaluate the effect of temperature for thermo-mechanical viscoelastic simulation. The viscosity and mechanical properties of certain plastics such as nylon and PET are greatly affected by moisture. Improper moisture content can adversely affect the finished molded product; material suppliers will therefore declare the recommended moisture content for these materials. It is critical that samples be dried to the proper moisture level to produce meaningful viscosity data that accurately represents the material. Otherwise, this can affect pressure predictions in injection-molding simulations. A new test, D-017, has been added for the preparation of moisture-sensitive materials prior to viscosity measurement. Materials are dried to the target moisture content, verified with moisture measurements by Karl Fischer titration. Open-hole tension and compression tests are commonly used for the testing of composite materials to evaluate strength of these materials when compromised by a through hole, typically used for fasteners. When coupled with digital image correlation (DIC), these standardized tests could carry additional value for the validation of simulation. Find new tests M-050 and M-051 in the online Test Catalog. 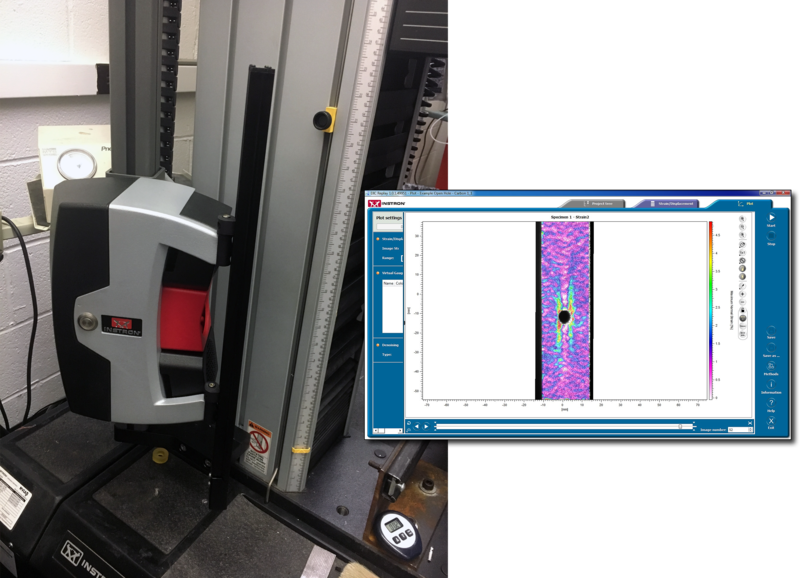 DatapointLabs have increased capacity for strain measurement using non-contact methods with the addition of two more video extensometers. The new capability will increase throughput for hyperelastic tests on rubbers, shear properties, and for compressive measurements of plastics and composites, which are increasingly in high demand. Matereality Version 10.2 minor release contains new features for producing testing reports directly from your libraries, and loading your data directly from Excel. 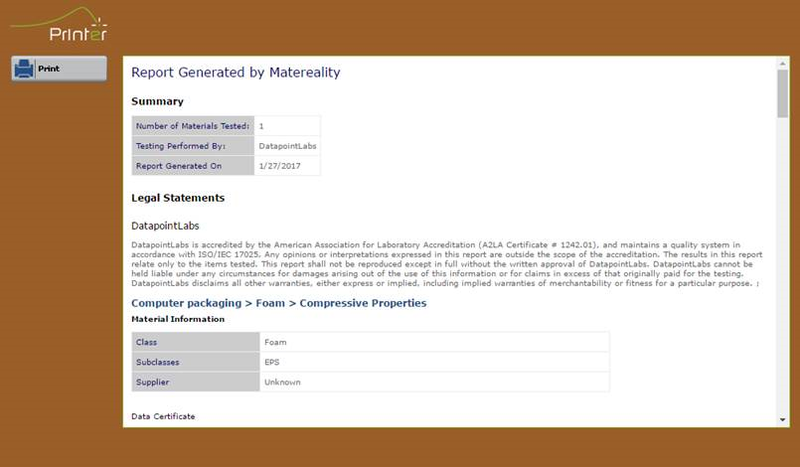 The CAE modeling framework has also been updated to incorporate additional traceability information in your CAE Material files. Enterprises store a lot of material data in Excel format. Combined with an Excel macro available in Version 10.2, you can create simple template maps in Excel to read information from your Excel data files into an XML image of your data that can be read directly into Matereality. The new Printer module can be used to collect datasets from your Properties library and format them for printing directly or to a PDF file. Select the data you wish to incorporate and adjust data plots before printing. CAE Material files now include fields for entering the solver name and the units used as metadata for the file. The Modeler module for newer model types has been updated to allow for the selection of a unit system, and the CAE Materials library now displays the solver name and units to make it easier to locate your desired models. Matereality Version 10.2 is available as a beta product on the Matereality Cloud and for Enterprise MDS installations upon request.